Driving through inclement weather can be very dangerous. That goes double for those who don’t have experience driving in adverse conditions. That goes triple when the one caught in traffic during inclement weather isn’t in a car – or isn’t, in fact, even human. 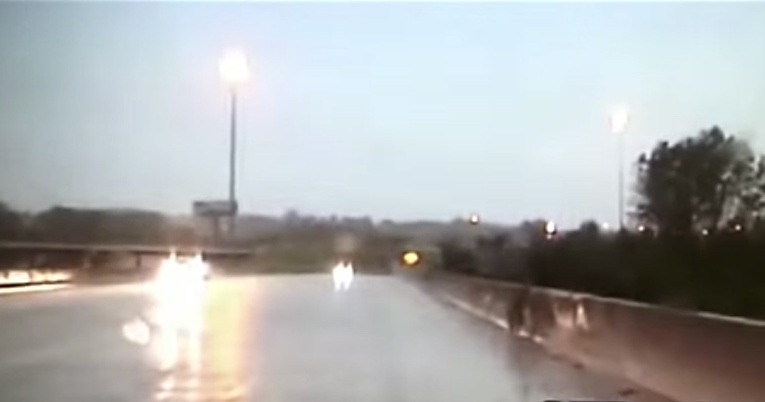 Police officers in Kansas City, Missouri spotted a doe stumbling on the highway in the middle of a terrible rainstorm. The doe, it was reported, was scared and confused, slipping everywhere and tripping into the cement highway barriers. The officers reacted in the only way they could – by helping the terrified creature to her feet and escorting her off the highway. The police dash cam caught the incident on video and it is truly heartwarming. When human infrastructure disrupts or confuses wild animals, it is vital that we do our part to help them through the disruption and return them to their natural habitats.